Ticket cancellations and refunds for the event will only be allowed until 10 August, 2019. All cancelled tickets will incur both cancellation charges and processing charges. Tickets can be cancelled by writing to us at payment@pmiafricaconference.com . All cancellations will receive 50% of their ticket value back upon cancellation until 10 August 2019. Refunds will not be given to registrants who do not attend without canceling in advance (no shows) or cancel after 10 August 2019. Non-Member rate will apply to all substitutions. 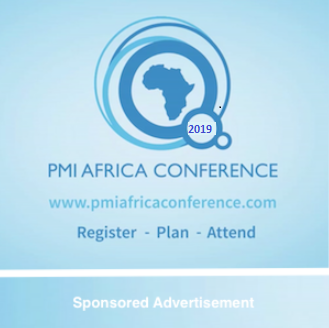 In the unlikely event that the conference is cancelled for any reason, the organizers of PMI Africa Conference assume no liability for non-refundable airline tickets or other travel costs. PMI will make every effort to immediately notify registrants of a cancellation of the conference. PMI reserves the right to cancel any session that has insufficient enrollment. Note: If the refund is applied to your credit card, your bank may take up to 14 – 21 additional business days to post the refund to your account.